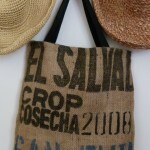 Bags made with love from remnants and recycled materials. 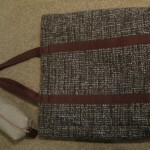 Some simple, some more sophisticated. 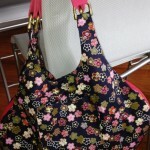 A more than monthly habit since April 2012. 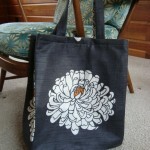 Hmm, close on becoming an obsession. 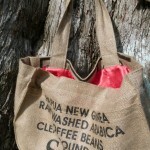 You can download my Totally Totes Tutorial to make your own coffee sack tote. 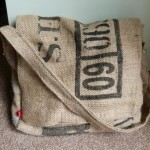 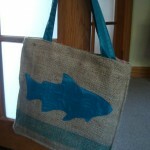 Detailed recipe and instructions for a hessian tote bag. 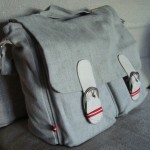 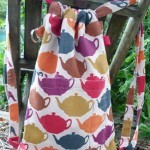 Or try a simple drawstring backpack customised with your own fabric, lining including a zip pocket and key clip. 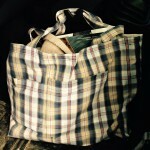 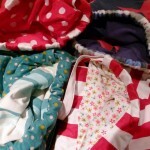 a soft beach bag made from a worn out favourite checked shirt, including the pocket. 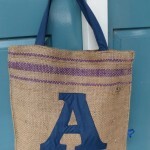 Cocoa bean sack tote (Whittakers of course) with personalised applique letter. 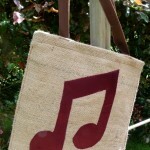 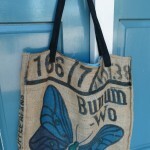 Recycled hessian or burlap tote with nylon webbing handles. 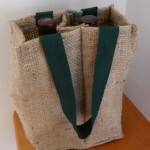 Soft satchel made from linen and leather upholstery remnants and recycled chrome buckles..
burlap or hessian recycled two-bottle wine carrier. 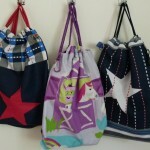 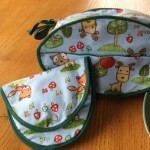 girl’s cotton foraging bag with internal and external pockets, nylon webbing strap. 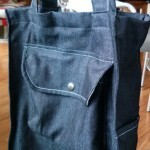 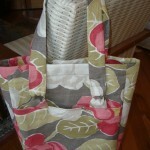 linen tote bag with internal pockets and fabric handles. 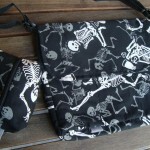 boy’s cotton messenger bag with matching treasure case. 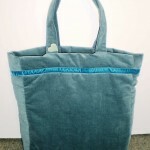 Romo Marielle linen fabric tote, with brass fittings and satin lining. 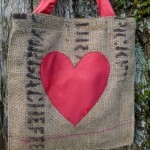 coffee sack tote with red satin handles, lining and heart applique. 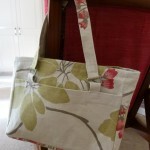 large coffee sack shopper with recycled red satin kimono lining and external pocket. 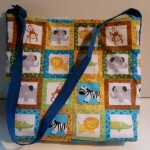 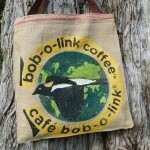 Synthetic coffee sack tote with quirky motif and recycled shirt lining.